The long, long, loooong wait finally ended this week for the augmented reality community as the Magic Leap One was finally released. The Florida-based company has loomed over the industry for years promising something big, and now the AR cat is finally out of the bag. Now we get to see if it will live up to expectations, but early reviews are a bit skeptical. 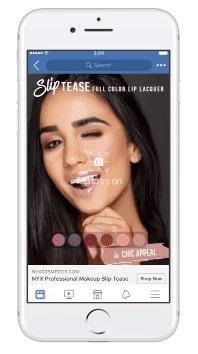 Despite the magnitude of Magic Leap's big moment, other AR companies continued about their business, with L'Oréal extending its AR makeup platform to Facebook and Nickelodeon revealing plans for an immersive TV series. The day has finally come. About eight months after unveiling Magic Leap One: Creator Edition, on Wednesday, Magic Leap made the device available for order through a reservation page on its website. Priced starting at starting $2,295, the package includes the Lightwear headset, Lightpack wearable computer, and the Control handheld controller, all of which Magic Leap showed off via a Twitch livestream in June. REALITY BITES: Blockchain and augmented reality are two of the most hyped technologies emerging today. The technologies have more in common than buzz, though. Fantasmo explains how blockchain-based cryptocurrency is on a collision course with the geospatial data at the heart of augmented reality. REALITY BITES: Augmented reality is not the only thing that Facebook and Snapchat have in common. After Facebook faced a steep decline in stock value after a disastrous second quarter, Snapchat reported a drop in daily active users from the first quarter of 2018 to the second. 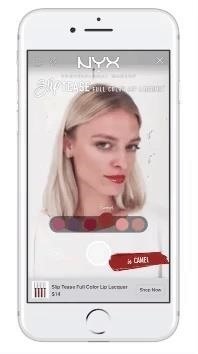 On the bright side, Snapchat has shipped several new AR features for users, advertisers, and developers. Cable TV network Nickelodeon is looking to break new ground with a new series that will be experienced in virtual and augmented reality. Developed under the working title Meet the Voxels, the series will be one of the first animated shows developed completely within a gaming engine, including real-time facial and full-body performance capture. REALITY BITES: According to a new report, Alibaba online retail subsidiary Taobao is working with Microsoft HoloLens to develop smartglasses that can identify products and delivery price, reviews, and online purchasing options.